The Eye Doctor is your ideal eye care accessory for fighting off uncomfortable and painful symptoms of dry eye and other conditions. 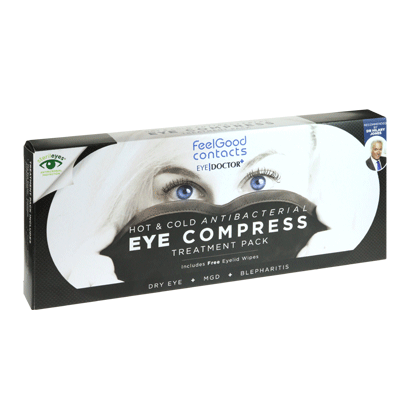 Enjoy quick and effective relief from a variety of eye conditions when you use this impressive hot eye compress, designed to ensure nothing gets in the way of your day. Perfect for morning or evening use, The Eye Doctor only needs 7-10 minutes to offer effective relief to your eyes by stimulating the areas around them. 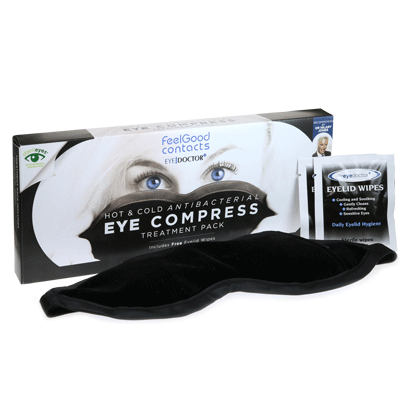 This works to immediately relieve the discomfort and pain caused by a number of eye-related conditions, such as Blepharitis and dry eyes. The Eye Doctor is a Registered Class 1 Medical Device, created by The Body Doctor, of a very high quality. By containing unique BodyBeads, the mask retains the heat of the microwave or oven to offer a hot eye compress. In addition to Blepharitis and dry eye, the mask is also an effective treatment if you’re suffering from light sensitivity, blurred vision, gritty eyes or general eye irritation. For any questions you may have, please don’t hesitate to contact our dedicated customer service team at FeelGoodContacts.ie.